The next generation of concept generation is here. ​GAUGE OPTIMIZATION, MOTION, TOPOGRAPHY OPTIMIZATION, AND MORE! 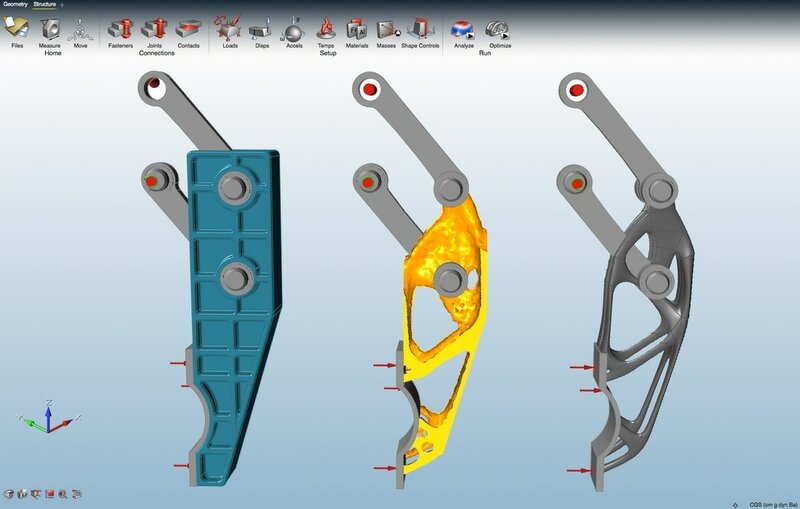 solidThinking Inspire allows design engineers, product designers and architects to investigate structurally efficient concepts quickly and easily. This can lead to reduced costs, development time, material consumption, and product weight. The new Gauge Optimization feature allows users to optimize the thickness of surface parts. Gauge optimization can be run by itself, or at the same time as topography optimization. 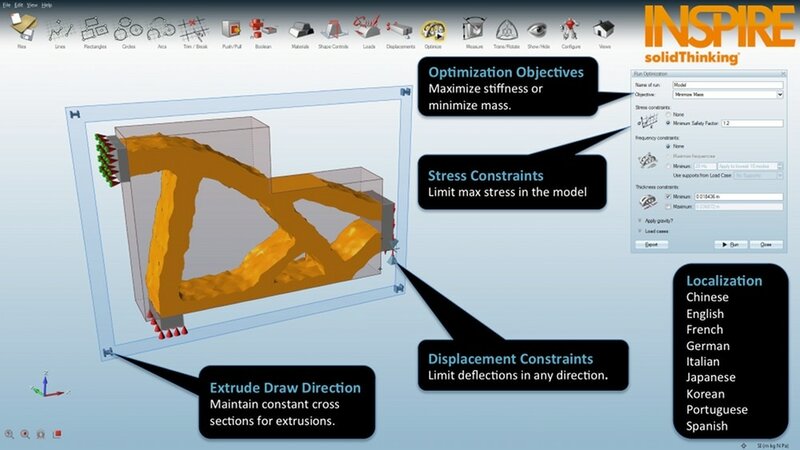 Motion analysis results for a part can now be extracted for use in structural (FE) analysis and optimization. Peak loads will be automatically extracted from the motion simulation and used in analysis and optimization runs. Users can now define forces, torques, and g-Loads in terms of their x, y, z components. When optimizing fasteners, users can now constrain the axial and shear forces using the optimization properties in the Property Editor. 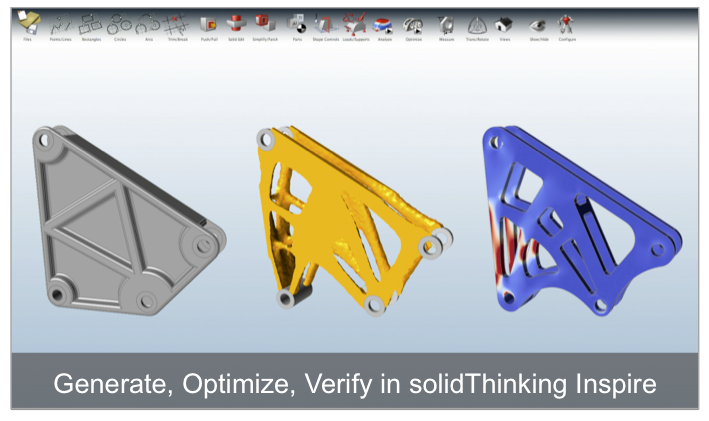 Generating the ideal part concept in Inspire is quick and easy. View the Inspire 2017 workflow below. ​Click on each step to see a quick video demo.